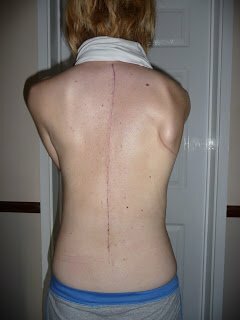 I know a lot of people are really interested in what their scoliosis scar will look like post surgery, so I thought I’d share some pictures of my scar through the different stages of my recovery. 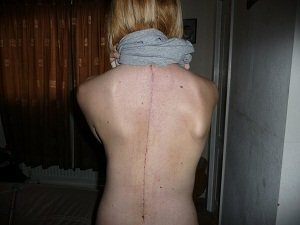 Here is my scoliosis scar about 2 weeks post op after I first removed my dressing. I remember being shocked (and pleased!) at how thin and neat the scar was. It was very red and sore though and I was unable to wear a bra at this point as it was too painful. I remember my back was also pretty bruised and swollen. 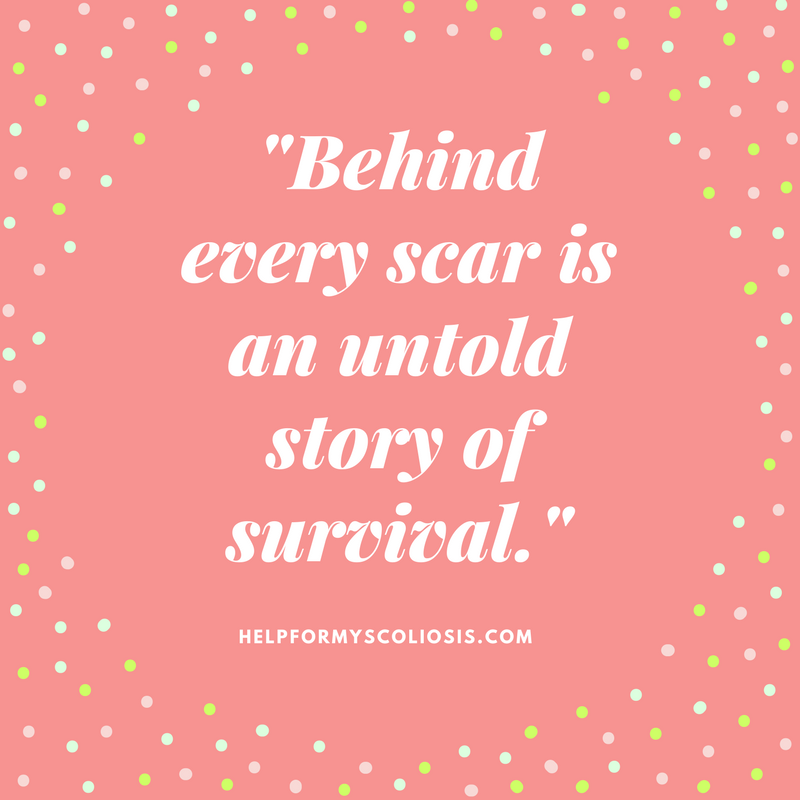 At 6 weeks post op, my scar was still pretty red and sore and my back was still swollen. I remember I still found it painful to wear a bra at this point. At around 5 months post op, my scar turned a kind of purple colour. I remember being a bit worried that it would stay like this as it looked pretty noticeable. I needn’t have worried though, as it soon faded pretty nicely. After 1 year post op, it was barely visible (see below picture). As you can see my scar has faded nicely and you can hardly see it now, it kind of looks white. I thought it would be a lot more noticeable to be honest! Update! See the below links for more scar related pictures..